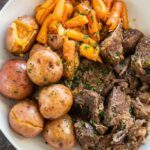 If you are looking for the ultimate family meal that doesn’t take all day to make then try this flavorful Pressure Cooker Pot Roast! 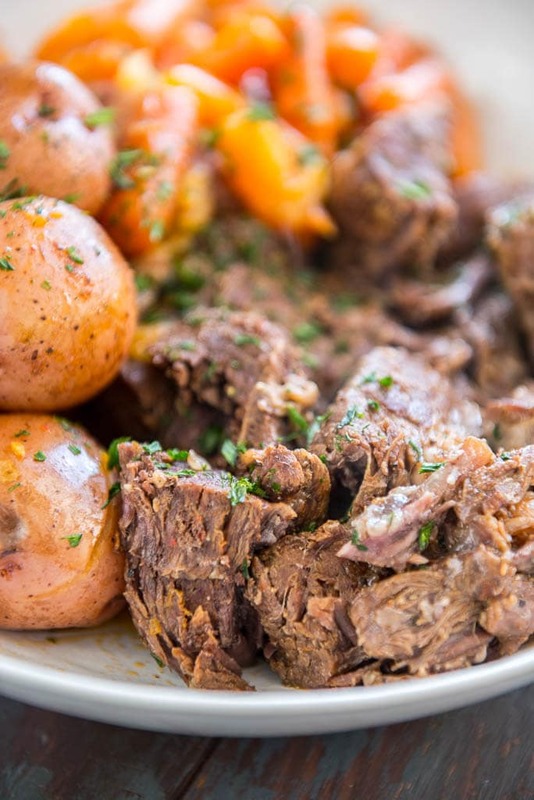 This pot roast is so easy to make in your Instant Pot or other electric pressure cooker! 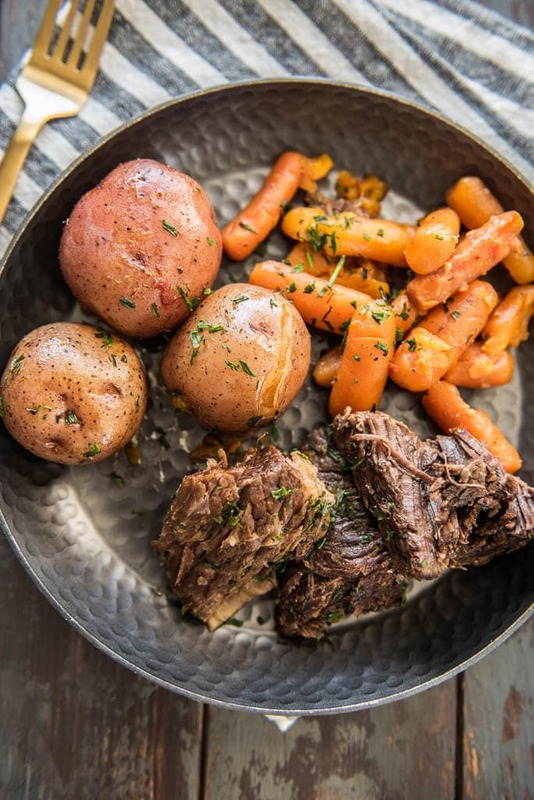 If your family is craving new beef recipes, then this easy pot roast and potatoes in the electric pressure cooker should go on your menu this week! It’s quick to prep and so much faster than the oven version. Not to mention that it turns out so juicy and fall apart tender!! Add carrots and potatoes for a complete meal! And don’t forget to serve it with gravy made from the leftover pan drippings! This Pressure Cooker Pot Roast is about to become your new favorite family dinner enjoyed around the table! 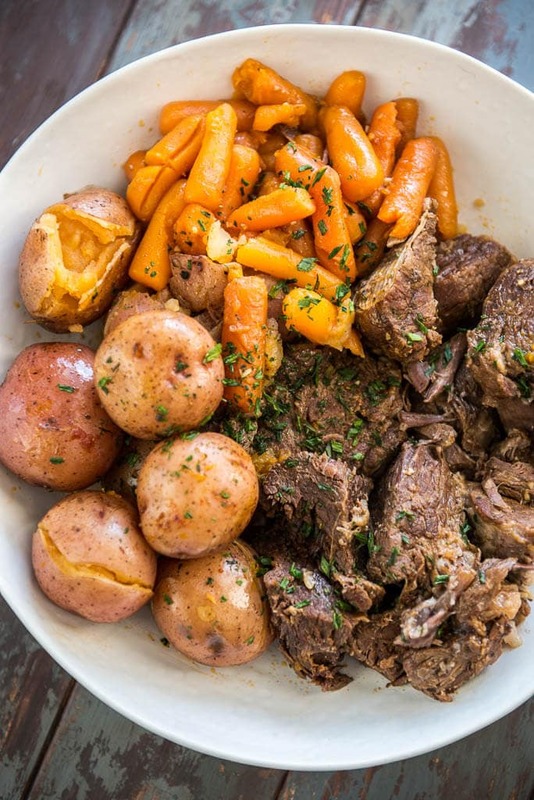 What do you need to make this Pressure Cooker Pot Roast Recipe? Now I have a question for you!! As the weather warms up do still plan to use your slow cooker or will you be looking for more Instant Pot/Pressure Cooker recipes? Leave me a comment and let me know!! 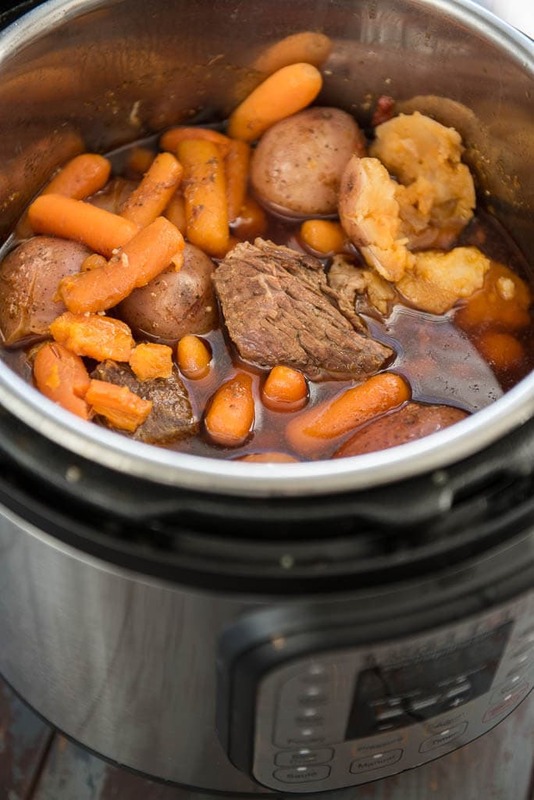 If you are looking for the ultimate family meal that doesn't take all day to make then try this flavorful Pressure Cooker Pot Roast! 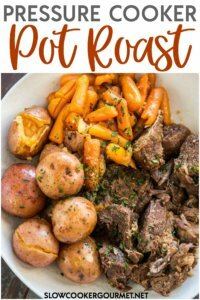 This pot roast is so easy to make in your Instant Pot or other electric pressure cooker! wow…great…..this is really a good technique to make a roast…this is of less work and easily preparable thing..I like this work a lot..really great one..